Baby Mario and Baby Luigi. 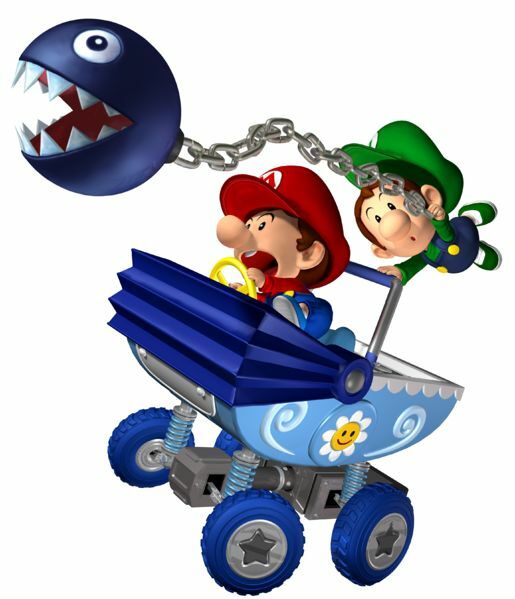 In Double Dash.. Wallpaper and background images in the Mario Kart club tagged: nintendo mario kart double dash gamecube baby luigi. Hahaha! baby Mario is soo funny looking in that pose. baby mario and baby luigi have ALWAYS been cute!! !